This month we want to invite you to do something that we are going to try doing ourselves too. 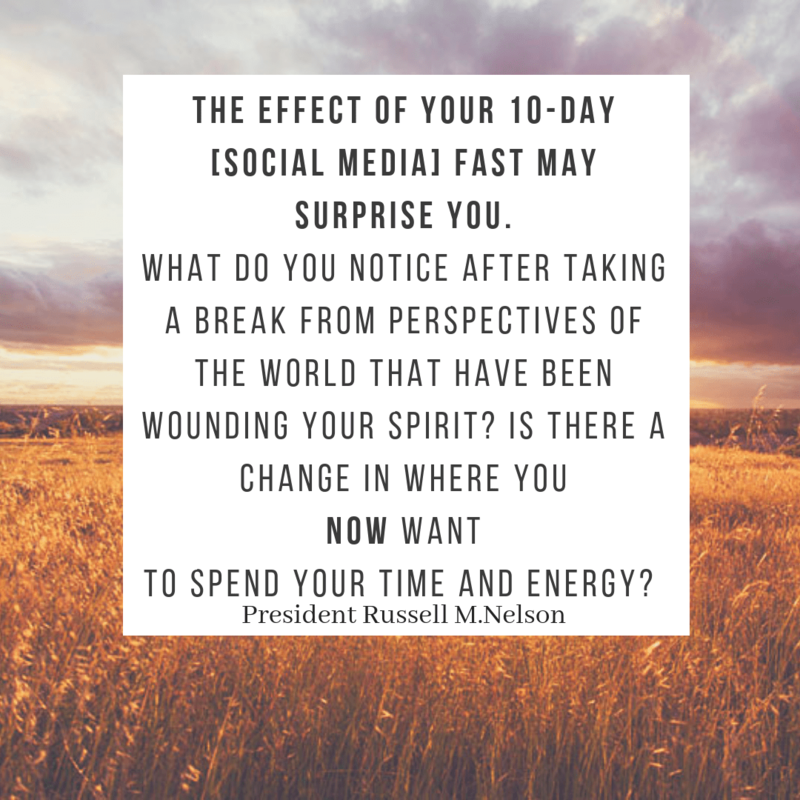 We are going to start a 10-day fast from any social media and other media that is not uplifting or encourages you in a positive way. You might think we were already doing a ‘fast’ from our blog by the few times we post lately, but believe me, we are not. Family life is busy and sometimes you need to handle quite a few issues all at the same time, so we’ve tried telling you a story at least every month. Last month we talked about our experience with Britax Romer car seats and we held a giveaway on our Instagram account that gave one lucky parent the chance to win an amazing car seat. 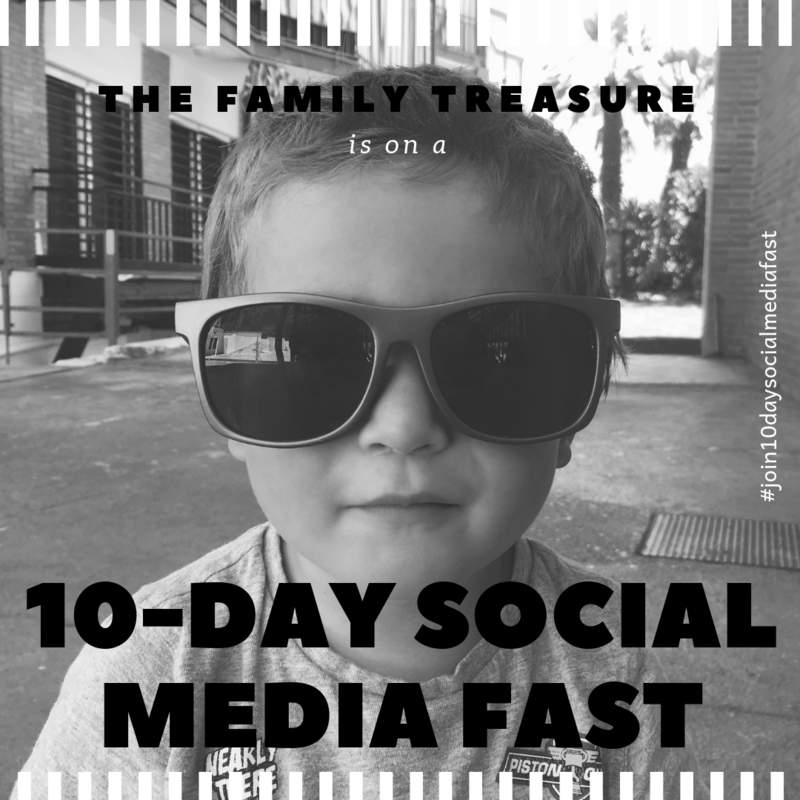 Why are we starting a 10-day social media fast? Well, as you all know by now we are members of the Church of Jesus Christ of Latter-Day Saints. We believe in a family centred in the teachings of Jesus Christ. Our aim in this post is not to ‘convert’ you or ‘brainwash’ you. We want to share with you something that we believe it will affect your emotional well-being positively. But I am sure that regardless of personal beliefs we all have one thing in common: we want to be happy in this life. 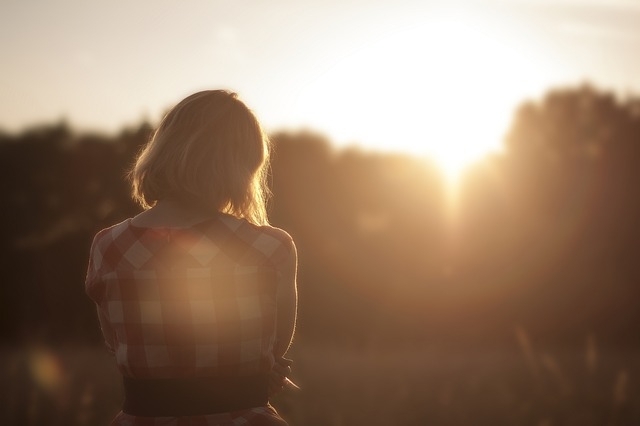 We want to feel good with ourselves and with our relationships with others. So what are the effects of excessive use of social media? The way I see social media is like a two-way tool. Either can uplift you, make you laugh, make you feel better or can destroy you. Destroy your self-esteem, destroy your relationship with others, make you have a distort view of somebody else’s life. I must confess I’ve felt like that sometimes. I wished I had the opportunity to visit that place with my family, or looked that good even when she has even more children than I do! And despite of the opposite belief, because you are ‘connected’ to so many people, it can actually make you feel lonely. Therefore, is Social Media bad for you? I don’t think so. As I said before, not everything is negative when using social media. It connects you with friends that otherwise you might not be able to connect due to distance, or other situations. It can make you laugh when you are are having a rough day or encourage you to do better in life. I think the problem resides on finding the right balance. If it’s taking time away from being with your loved ones, if it’s not helping you to have a good night sleep or if it’s making you compare yourself to other people, then STOP IT. The purpose with our family blog and managing our social media is to share with you always experiences, stories, memes, pictures, that will make you feel good, that will make you laugh or that will entertain you. Basically, inviting you all into our journey to family happiness, with its ups and downs, its laughs and tears. We’d love to see you there and read your comments if you took the challenge too or would like to take it and you don’t know how. **Update: You can now WATCH our first ever Facebook Live recording of our experience fasting for 10 days from any social media. Genial la invitacion!!! Muchisimas gracias querida bloguera, y….acepto la invitacion …pol supuezzzzzto!! !